1. Albert Mangelsdorff (tb) with 4-brothers Sax-tet: Hans Koller, Joki Freund, Don Menza, Willi Sanner (saxes), Pepsi Auer (p), Gary Peacock (b), Rudi Sehring (dr), recorded 07.06.1957 at HR-Sendesaal in Frankfurt/ Main (German Jazz Festival) 2. Albert Mangelsdorff (tb), Emil Mangelsdorff (as), Joki Freund (ts), Dusko Goykovich (tp), Pepsi Auer (p), Peter Trunk (b), Rudi Sehring (dr), recorded 1959 in Germany, location unknown, originally released on 7inch vinyl (Neckermann & Bella Musica) 3. Albert Mangelsdorff (tb), Emil Mangelsdorff (as & fl), Joki Freund (ts & ss/ arr), Heinz Sauer (ts), Günter Kronberg (bs & as), Günter Lenz (b), Ralph Hübner (dr), recorded 06.1963 in Germany,location unknown 4. & 8. Albert Mangelsdorff (tb), Fred Christmann (tp), Attila Zoller (g), Werner Twardy (p), Peter Trunk (b), Hans Last (b), Karl Sanner (dr), Glenn Buschmann (cl) recorded 21.02.1958 at Radiohalle Hamburg 5. Albert Mangelsdorff (tb), Karl Blume (bs), Hajo Lange (b), Heinz von Moisy (dr), recorded 22.01.1960 at Radiohalle Hamburg 6. Albert Mangelsdorff (tb), Heinz Sauer (ts), Günter Kronberg (as), Günter Lenz (b), Hartwig Bartz (dr), recorded 02.06.1962 at HR-Sendesaal in Frankfurt/ Main (German Jazz Festival) 7. Albert Mangelsdorff (tb), Conny Jackel (tp), Fred Christmann (tp), Joki Freund (Sousaphon), Pepsi Auer (p), Peter Trunk (b), Rudi Sehring (dr), recorded 23.05.1958 at HR-Sendesaal in Frankfurt/ Main (German Jazz Festival) 9. Albert Mangelsdorff (tb) with the rhythm section of Kurt Edelhagen, recorded 02.1955 at Pfalzbau in Baden-Baden, announcement by Joachim-Ernst Berendt. Autumn 2014. Jazz aficionados and record collectors meet, listen to old tapes and swap music files. They are enthusiastic about private recordings or vinyl singles by trombonist Albert Mangelsdorff (1928-2005) from Frankfurt am Main. Lists are assembled from a variety of more and less reliable sources. They serve the basis for this CD and LP compilation "Mainhattan Modern". That way some lost or completely unknown recordings become available for the first time in a remastered format, finally saved for posterity. Mangelsdorff is regarded as the true pioneer of German jazz and still represents its biggest successes. Already ten years after the war, he is the first German jazz musician who attracts international attention due to his unique style. To this day, his skills and dedication make him a role model for countless trombonists. The high individual level of playing, which Mangelsdorff and his sidemen already achieve in the 1950s and 60s, can be heard on these newly discovered recordings from studios and concert halls. The humble and unfailingly polite young man is a persistent and innovative musician. According to him, the primary concern is the originality of his playing. Equipped with the first trombone, the musician receives lessons from the best trombonist of the Frankfurt Opera, Fritz Stehr. Already in 1952 Mangelsdorff attends jam sessions in Carlo Bohländer`s Frankfurt club "Domicile", including frequent visits from American musicians. He practises diligently for six to seven hours a day and plays evening concerts or sessions. The Joe Klimm combo with Albert Mangelsdorff and Joki Freund is heavily influenced by the Charlie Parker Quintet and considered as the most popular modern jazz ensemble of the Frankfurt scene. At the venue “Althoff-Bau” promoter Horst Lippmann organizes concerts and sessions as a kind of blue print for the German Jazz Festival. Jazz reawakening everywhere, with "Mainhattan" as the center and engine of the German scene. 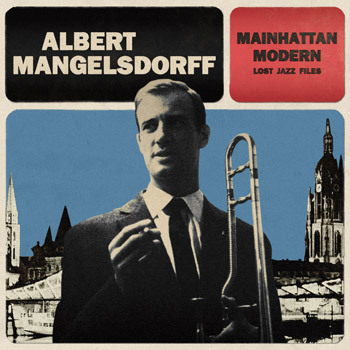 Under his own name, Albert Mangelsdorff finally enters the public eye during 1957, after working for Jutta Hipp, Hans Koller, the Joki Freund Quintet and the Frankfurt All Stars. In the same year, Polish jazz musicians invent the expression of "Frankfurt Sound" at the Zopot festival, as a description for the particular jazz style of the Main metropolis. This refers to the sounds of Albert Mangelsdorff and his brother Emil on trombone and alto saxophone. They play an original abstraction of American “cool” aesthetics, with innovative arrangements by tenor saxophonist Joki Freund, including two or three horns and rhythm section. 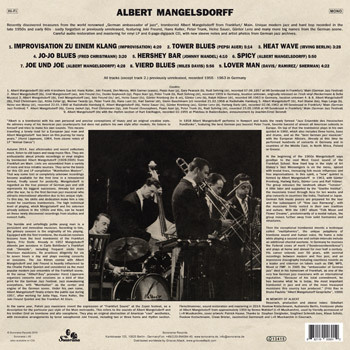 In 1958 Albert Mangelsdorff performs in Newport and leads the newly formed "Jazz Ensemble des Hessischen Rundfunks", featuring the best German jazz bassist Peter Trunk, favorite bassist of almost all American soloists in Europe. 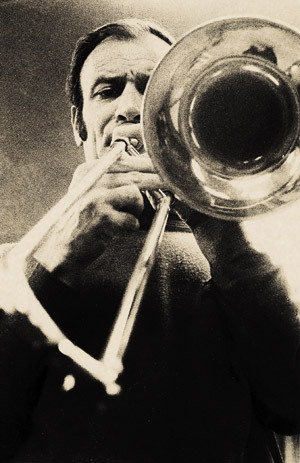 On top of that the trombonist plays in his own quintet in 1960, which also includes three horns, bass and drums, and as the "best German jazz musician" with the European Allstars. Already at this time he performed hundreds of concerts in Germany and in countries of the Middle East, in North Africa, Poland or Greece. At the beginning of the 1960s Mangelsdorff says goodbye to the cool West Coast sound of the Frankfurt School. Now Hard bop in the style of Art Blakey`s Jazz Messengers is on the menu, spiced with modal lines, increasing folk music influences and free improvisations. 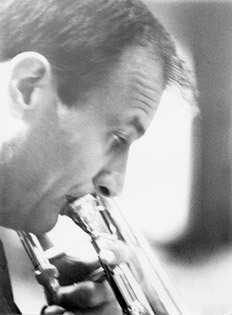 In this spirit, a "new" quintet is formed by Albert Mangelsdorff in 1963, with Günter Kronberg, Hartwig Bartz, Günter Lenz and Ralf Hübner. The group releases the landmark album "Tension". A little later and supported by the “Goethe Institut”, the musicians travel through Asia for ten weeks and play concerts in countries like India, Thailand or Japan. German folk music pieces are prepared for the tour and the subsequent LP "Now Jazz Ramwong", with the musicians firmly rooted in their own tradition and culture. With the 1967 album "Folk Moon and Flower Dreams", predominantly of a modal nature, the group moves further away from solid harmonies and structures. Jazzinstitut Darmstadt and L+R Musikarchiv in Eisenach.